IPCC climate change denial: Psychology and human nature trump science and economics. Climate change is real. Why has science failed to convince people? An elderly man exercises near the Songhua river in Jilin, Jilin province, on Feb. 24, 2013. Are pictures like this enough to change a climate skeptic’s mind? When scholars of the future write the history of climate change, they may look to early 2008 as a pivotal moment. Al Gore’s film An Inconvenient Truth was bringing the science to the masses. The economist Nicholas Stern had made the financial case for tackling the problem sooner rather than later. And the Intergovernmental Panel on Climate Change had just issued its most unequivocal report yet on the link between human activity and climatic change. The exact opposite happened. Fast-forward to today, with the release of the IPCC’s latest report on the state of climate science, and it is clear that public concern and political enthusiasm have not kept up with the science. Apathy, lack of interest, and even outright denial are more widespread than they were in 2008. Through a growing body of psychological research, we know that scaring or shaming people into sustainable behavior is likely to backfire. We know that it is difficult to overcome the psychological distance between the concept of climate change—not here, not now—and people’s everyday lives. We know that beliefs about the climate are influenced by extreme and even daily weather. One of the most striking findings is that concern about climate change is not only, or even mostly, a product of how much people know about science. Increased knowledge tends to harden existing opinions. These findings and many more are increasingly available to campaigners and science communicators, but it is not clear that lessons are being learned. In particular there is a great deal of resistance toward the idea that communicating climate change requires more than explaining the science. 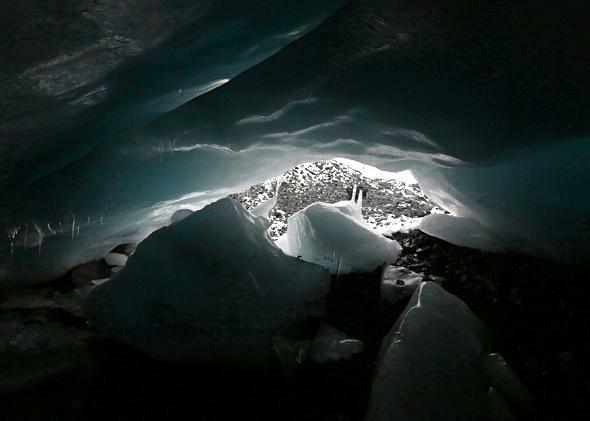 An ice cave at the leading edge of the Pastoruri glacier is seen in Huaraz, Peru. The Pastoruri glacier is one of the fastest-receding glaciers in the Cordillera Blanca mountain range, according to a paper by the University of Texas and the Huascaran National Park. 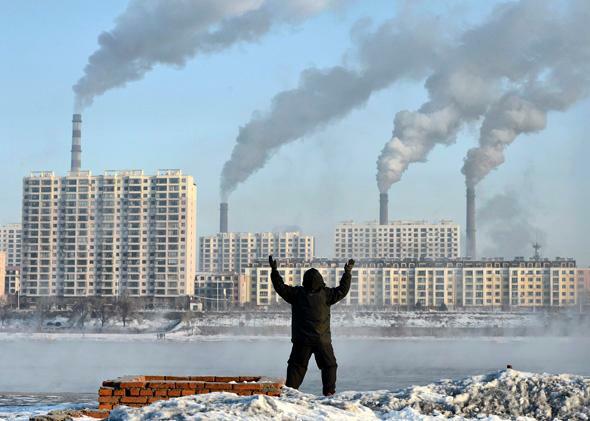 The IPCC report, out on Sept. 27, provides communicators with plenty of factual ammunition. It will inevitably be attacked by climate deniers. In response, rebuttals, debunkings, and counter-arguments will pour forth, as fighting denial has become a cottage industry in itself. Consider, for example, the finding that people with politically conservative beliefs are more likely to doubt the reality or seriousness of climate change. Accurate information about climate change is no less readily available to these people than anybody else. But climate policies such as the regulation of industrial emissions often seem to clash with conservative political views. And people work backward from their values, filtering the facts according to their pre-existing beliefs. Research has shown that people who endorse free-market economic principles become less hostile when they are presented with policy responses that do not seem to be as threatening to their worldview, such as geoengineering. Climate change communicators must understand that debates about the science are often simply a proxy for these more fundamental disagreements. If communicators were to start with ideas that resonated more powerfully with the right—the beauty of the local environment, or the need to enhance energy security—the conversation about climate change would likely flow much more easily. 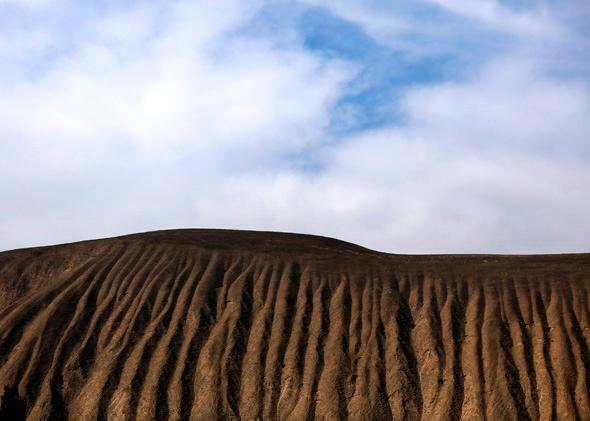 A dry slope is seen near the Shiyang river on the outskirts of Wuwei, Gansu province Sept. 21, 2013. Beijing blames climate change for wreaking havoc on scarce water resources, but critics say the country’s headlong drive to build its industrial prowess and huge hydro projects is just as responsible. Similarly, a recent report from the Understanding Risk group at Cardiff University in the U.K. showed there are some core values that underpin views about the country’s energy system. Whether wind farms or nuclear power, the public judges energy technologies by a set of underlying values—including fairness, avoiding wastefulness, and affordability. If a technology is seen as embodying these, it is likely to be approved of. Again, it is human values, more than science and technology, that shape public perceptions. Accepting this is a challenge for those seeking to communicate climate science. Too often, they assume that the facts will speak for themselves—ignoring the research that reveals how real people respond. That is a pretty unscientific way of going about science communication. The challenge now that the IPCC report has appeared, then, is not to simply crank up the volume on the facts. Instead, we must use the report as the beginning of a series of conversations about climate change—conversations that start from people’s values and work back from there to the science.